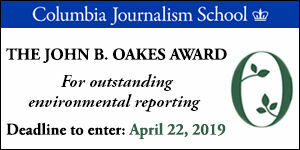 The Society of Environmental Journalists is the only North American membership association of professional journalists dedicated to more and better coverage of environment-related issues. SEJ’s mission is to strengthen the quality, reach and viability of journalism across all media to advance public understanding of environmental issues. The Journal Record's Sarah Terry-Cobo, co-chair of SEJ's 2015 annual conference in Norman, Oklahoma, shares why she supports SEJ. 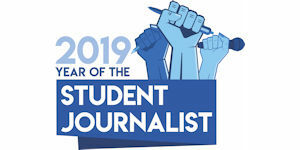 The Society of Environmental Journalists was founded in 1990 by a small group of award-winning journalists, including reporters, editors and producers working for The Philadelphia Inquirer, USA Today, Turner Broadcasting, Minnesota Public Radio and National Geographic. Today, SEJ's membership includes more than 1,400 journalists and academics working in every type of news media in the United States, Canada, Mexico and 43 other countries. 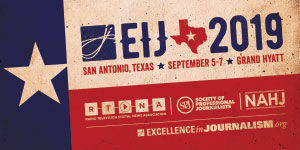 SEJ's reputation for excellence, service, and integrity has been built upon three decades of annual conferences hosted by distinguished universities, scores of regional forums, unique publications, online services, workshops and training sessions, and an extensive membership network. 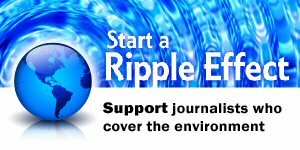 As a 501(c)3 non-profit educational organization, SEJ provides educational opportunities and vital support to journalists of all media who face the challenging responsibility of covering complex environmental issues. SEJ operating and project budgets are underwritten through a combination of foundation grants based on SEJ proposals, university sponsorships of the annual conference, media company contributions, earned income from dues and fees for services (including exhibit, ad space and single use rental of the mail list/email distribution listserv) and earnings from individual gifts to the endowment fund. SEJ seeks only small grants of general support from non-media corporations and environmental advocacy groups. Lobbyists and public relations professionals are not eligible for membership in SEJ. 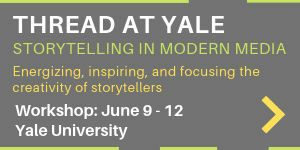 All are welcome to subscribe to SEJournal and participate in SEJ's annual conferences. "Objectivity as Independence: Creating the Society of Environmental Journalists, 1989-1997," by John Palen, provides an in-depth look at SEJ's creation and the philosophy of its founders. His paper was presented at the national convention of the Association for Education in Journalism and Mass Communications in Baltimore, MD, in August 1998. In 2010, SEJ was co-winner of the Gulbenkian International Prize, which distinguishes an individual or institution "whose thoughts or actions make a decisive contribution to and have significant impact on understanding, defending or fostering the universal values of the human condition." SEJ established a Diversity Task Force in 2010 to foster and promote greater coverage and understanding of environmental issues that affect minority and other marginalized communities. All programs and services of the Society of Environmental Journalists are designed by journalists to strengthen and increase news coverage of environmental issues.